The last Christmas that we had our gift exchange, Margo got Pam's name. Truth be told the lottery was rigged. Margo had an idea for the perfect present for Pam, and took her name. 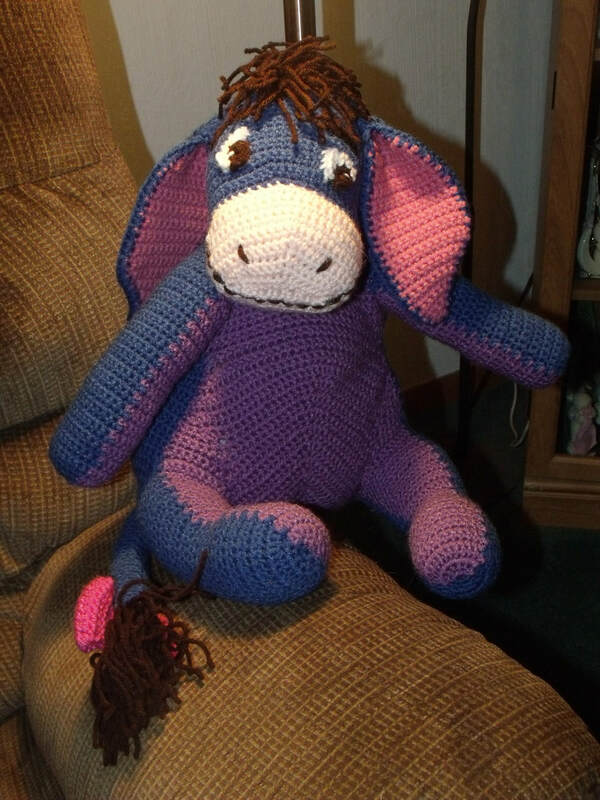 Margo made this from a pattern, but add a few twists of her own with the colors and Eeyore's hair. It turned out even better than she hoped. Pam was surprised and really liked it.